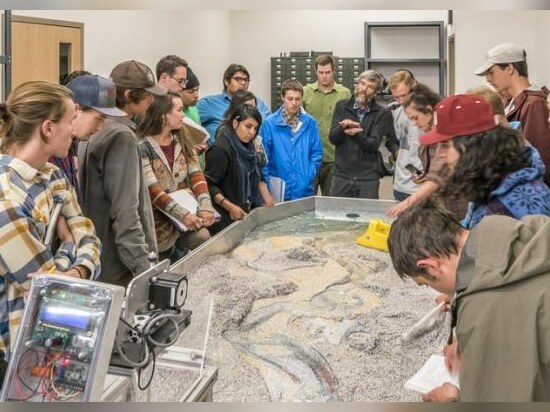 News & Trends> Industry News > Medical Technical Facilities > Sitter Family Hall, Fort Lewis College, Durango, Colo.
Sitter Family Hall, Fort Lewis College, Durango, Colo. The Sitter Family facility includes the third phase of renovation for Berndt Hall. 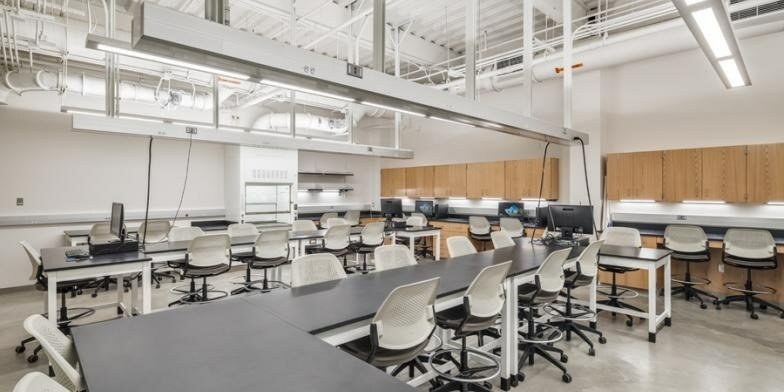 The Department of Physics & Engineering and the Department of Geology will share this multi-story complex with 12 teaching laboratories and 8 student/faculty research laboratories. This project demolished the 1968, single-story, north wing of the Berndt Hall building and replaced it with a basement and three above grade floors.The new building addition provides interactive yet identifiably distinct spaces for the Geosciences and the Physics & Engineering Departments. 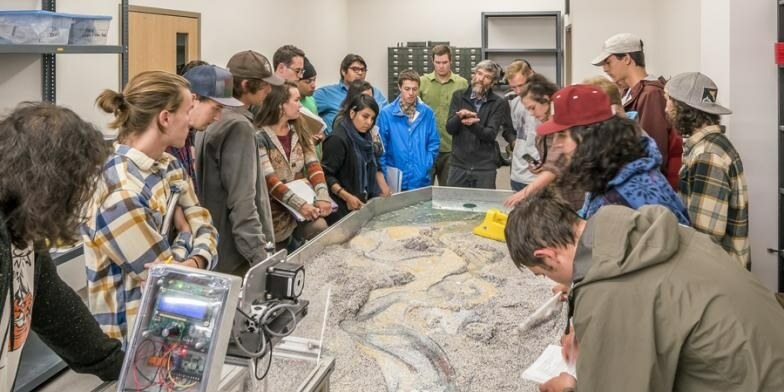 Disciplines from the two departments will include Petrography, Geomorphology, Structural Geology, Mineralogy, Electrical and Mechanical Engineering, Advanced Physics, Quantum Mechanics, and Electric Networks. 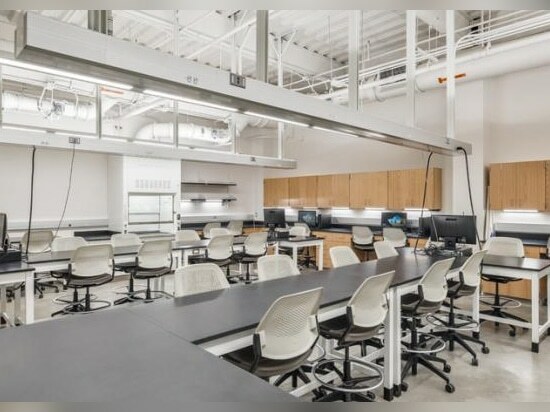 Support facilities in this building include a wet chemistry lab for rock digestion, rock prep/ olishing rooms, a dark room, and shared lab prep rooms adjacent to each of the teaching laboratories. A rooftop observatory and a stable terrace for telescopes has been incorporated into the building design for Astronomy courses. 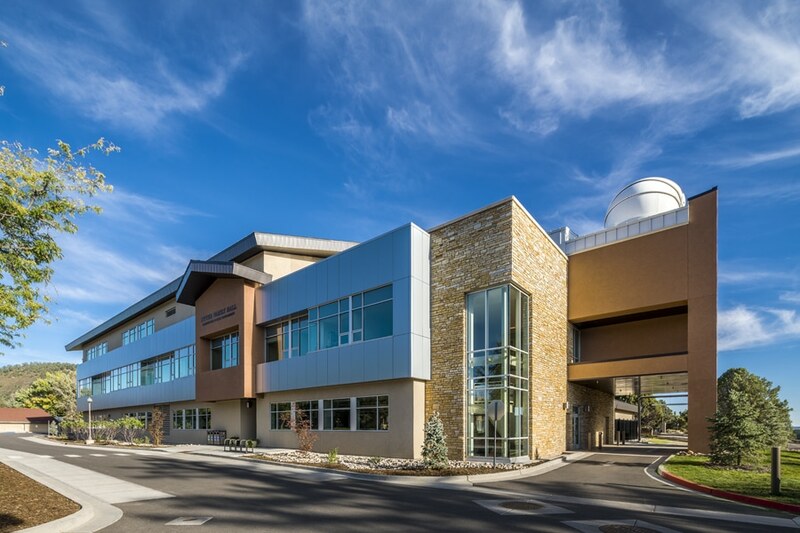 Sitter Family Hall is the fourth LEED-certified facility at Fort Lewis College. 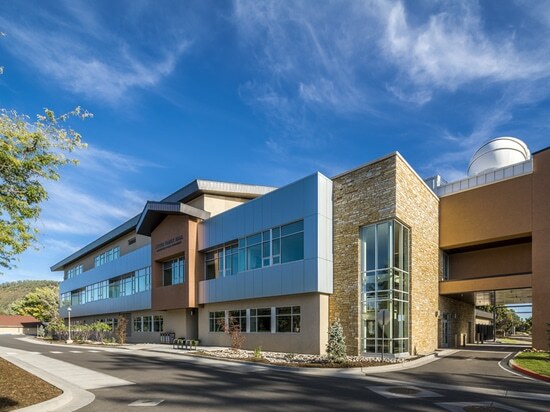 Pursuit of LEED certification for Sitter Family Hall is part of Fort Lewis College’s overall commitment to sustainability and meets the requirements of the State of Colorado’s High Performance Certification Program. The facility incorporates numerous integrated green building strategies including heat recovery systems, hydronic and airside economizers that provide free cooling, LED light fixtures, dedicated demand controlled ventilation, high efficiency central plant equipment, a vegetated roof, a roof-mounted photovoltaic system, water conserving fixtures and sustainable materials use.